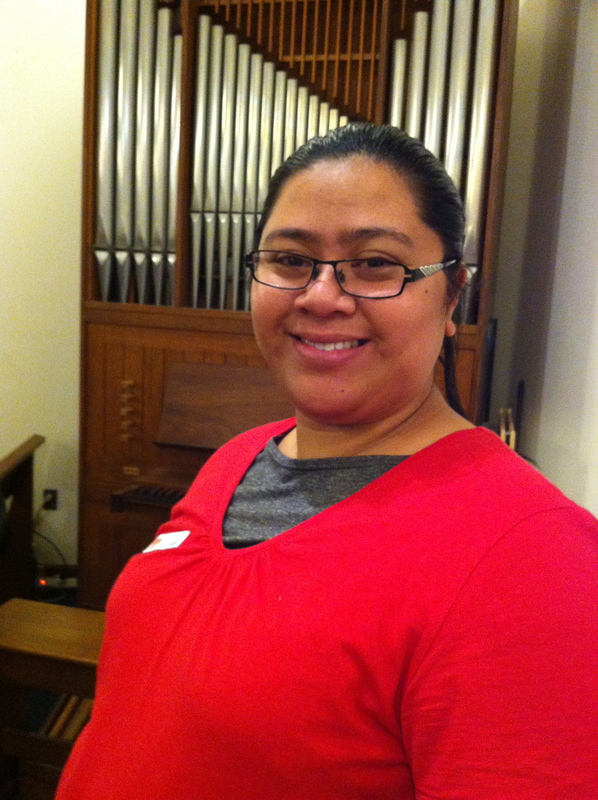 Karyn Lasei, from Aoterea/New Zealand, serves as one of the young adults on the leadership board for the Council for World Mission, and has joined the World Student Christian Federation delegation to the UNCSW in partnership. 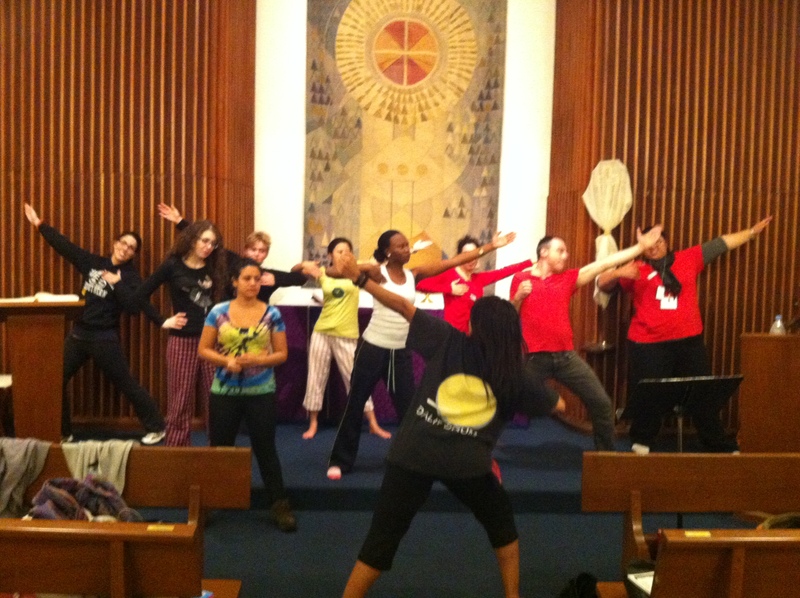 On several occasions this week, I have been privileged to be a part of raising my voice through the art form of dance. An experience that initially was mentally frustrating, physically challenging and exhausting, turned quickly into realising its rewards and benefits (not only breaking a sweat).The process of learning a new dance routine through to the presentation before audiences has for me in some ways parallels of my experiences thus far at this year’s CSW event. Firstly learning that a few different delegations including myself would be performing a dance consisting of younger and older generations, brought thoughts of “I can’t do it”, “I will look silly”, “What if I miss a step?”, and “I won’t be able to keep up”. Before I had even started, I had already written myself off and placed limitations on my capacity to dance. Likewise, accepting the invitation to attend a United Nations Commission made me ask the question, “Why me?” and “What could I possibly contribute” especially since having very little experience in advocating and knowledge of the event in its entirety. In the due process of learning to co-ordinate my limbs step by step in varying angles whilst attempting to be in synch with the music, was overwhelming at times. But it highlighted for me that we must not be intimidated by opportunities that come our way but rather look at it as steps that allow us to better educate ourselves which in turn enhances our knowledge and experiences despite whether we are novices or veterans of the cause. ‘Giving attitude’, ‘projecting strong body movements’, ‘having confidence’ and ‘facial expressions’ are some of the terms that were repeated over and over again during our dance rehearsals for the importance of bringing out the message of the song that much stronger. In the same our messages are just as important in how we express ourselves as individuals, our organisations and as a global community. We all have a message we want to project but it could be lacking impact due to the ways we implement it. Which calls for us to be open to new and innovative ways of getting our voices heard that are more effective and meaningful. I truly believe partnership and networking with those that share the same passions and focus, are key factors that will contribute in moving us forward as a global community to attain this achievable goal. The importance of partnership has been accentuated in all the parallel events I have attended and therefore it implies that we need each other, young and old, new and experienced, to not only reaffirm and celebrate the progress we have made but also to join together in sharing our resources in our efforts for a better and brighter future. It was encouraging to hear at a few parallel events that secular organisations acknowledge that they need to partner with faith-based organisations on this journey. And so like dancing within a group, we must step together in unity to have a greater and powerful impact. One of the rewards or benefits of my dancing experience this week has firstly been dancing alongside fellow delegates. Sharing similar doubts and frustrations, we encouraged each other to persist in the light of limited time to rehearse and tiredness. So in our respective fields it can be at times be tough and we can grow weary and discouraged when it seems we are not progressing as much as we want which reinforces the need to form partnerships. Secondly performing in front of audiences and watching and listening to their responses in agreement of the messages we projected, has been liberating to know that we have impacted lives. This week I have danced to the messages of claiming my space as a young Christian woman, claiming my identity in God’s image, claiming my worth that is more than precious jewels and claiming my body that is holy. Let us be encouraged to venture into new ways of breaking the chains so that you and I can help others dance to the messages that claim what rightfully belongs to us. From the One Billion rising campaign, comes these words of the anthem ‘Break the Chains’ which gives us reasons to dance!